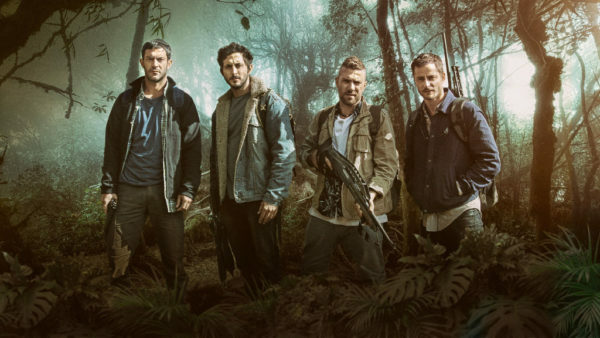 The Israeli adventure drama, When Heroes Fly, has arrived at the Netflix streaming network. The 10-part series, set in Israel and Colombia, unfolds in Hebrew, Spanish and English. Four Israeli buddies, who fought together in the 2006 war in Lebanon, team up in a daring mission to find an Israeli woman supposedly killed nearly a decade ago. The Israeli men are Aviv (Tomer Kappon), Himler (Michael Aloni), Benda (Moshe Ashkenazi) and Dubi (Nadav Netz), all in their 30s. They’re looking for Yaeli (Ninette Tayeb), Aviv’s girlfriend and Dubi’s sister. Having been declared dead after her bus careened into a ravine in the jungles of Colombia, Yaeli was given a proper Jewish funeral in Israel, even though her body was never found. Eleven years later, much to his surprise, Benda sees a photograph of Yaeli on the front page of a Bogota newspaper. Benda has been living in the Colombian capital for some years now. Still in a state of shock, he calls Aviv with the incredible news. Aviv is the survivor of a Hezbollah ambush that claimed the life of one of his best friends. These battle scenes are graphically conveyed in the first 10 minutes of this generally taut series. Aviv, affected by post-traumatic stress disorder, lives at home with his protective, long-suffering mother. Obsessed with unravelling the mystery of Yaeli’s supposed demise, he convinces old army friends Dubi and Himler to join him in the quest to track her down. Himler, whose real name is Dotan, is an eligible bachelor, a wealthy financier who’s battling cancer. Due to what happened during the war, he and Aviv are not on the best of terms. Dubi, a married teacher who’s moderately religious and wears a small embroidered yarmulke, is initially reluctant to go to Colombia. Having arrived in Bogota, the Israelis are picked up at the airport by Benda, a recovering drug addict with a Mohawk haircut who runs a Middle Eastern restaurant with his Colombian girlfriend, Maria (Vanessa Chaplot). When Heroes Fly flits between the present and the past in flashbacks that flesh out the biographies of the main characters and heft to the emerging story line. A viewer, for example, learns why Yaeli went to Colombia without Aviv and what transpired after her accident. 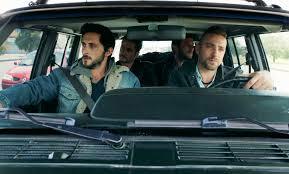 The four friends try in vain to enlist the assistance of the Israeli embassy. Their contact, a cagey diplomat, suggests they’re wasting their time. The photographer whose picture caught Benda’s attention in the first place is a little more helpful. Predictably enough, dangerous drug dealers are added to the mix. In short order, the Israelis are arrested, but released on condition that they’ll leave the country immediately. Aviv, having learned that Yaeli could be a member of a secretive cult led by a mysterious man known as the Pale Father, decides to resume the search for her. 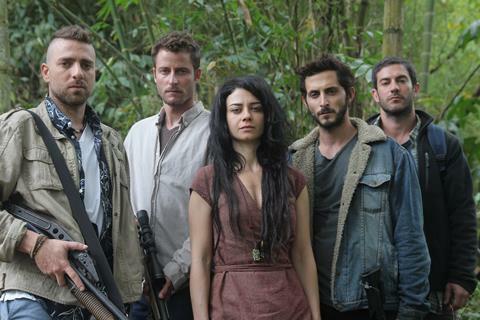 The Israelis, equipped with weapons donated by Maria’s father, hike into the jungle. The Pale Father turns out to be a somewhat familiar figure. He has developed a wonder drug that Buaron (Oded Fehr), an Israeli criminal, covets. As the Israelis get closer to uncovering the whole truth about Yaeli, they fend off hostile elements. Meanwhile, Noga (Yael Sharoni), a dogged Tel Aviv detective, arrives in Bogota to investigate links between Israeli and Colombian criminals. When Heroes Fly, directed by Omri Givron, usually moves along at a fast and enjoyable clip. But occasionally, it bogs down and sags, creating pockets of boredom. At other times, the cartoonish atmosphere cries of cliches. The lead actors acquit themselves quite well, leaving viewers reasonably satisfied with this latest Israeli addition to the Netflix lineup.